Hypertension, more commonly referred to as high blood pressure, is a major issue for many Americans today. If you don't treat high blood pressure and get it under control quickly, it can spiral into even more severe health problems and could even result in death. 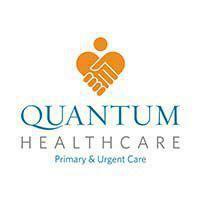 Dr. Yasser Salem at Quantum Healthcare in Crivitz, Wisconsin are ready to help you beat high blood pressure and all of its frightening potential consequences. What do the Blood Pressure Numbers Represent? Blood pressure readings are expressed as a set of numbers, for example 120/80mm Hg. The top number is called systolic blood pressure. The systolic number, in this case the 120, is representative of the pressure within your arteries as your heart beats and moves blood into them. The bottom number -- 80 in this example -- is called diastolic pressure. The diastolic pressure is representative of the pressure level within your arteries as your heart is in between heartbeats. When Does Normal Blood Pressure Become Hypertension? Normal blood pressure falls below 120/80 mm Hg. Numbers higher than that indicate some level of high blood pressure. High blood pressure is dangerous and can even be deadly. It can result in heart attack, stroke, and other serious health problems. While this is frightening to hear, the good news is that high blood pressure can be controlled with Dr. Salem’s help. Hypertension treatment depends on several factors including the patient's overall health, other existing conditions, and the high blood pressure levels. Lifestyle changes are very important for patients with high blood pressure. Dr. Salem is happy to work with you to help you make the changes needed to achieve healthy blood pressure levels. This may include changes like more regular exercise, a healthier diet, and weight loss if you're overweight. In some patients, lifestyle changes are not quite enough to fully resolve the issue, so medication can help. There are medications that can be taken on a daily basis to help lower the blood pressure and keep it under control. It's also important that patients learn how to monitor their blood pressure at home. If you notice your blood pressure levels rising, see Dr. Salem right away for help. High blood pressure is very much controllable as long as you're willing to work with your doctor at Quantum Healthcare to better your health.